Bader, K.S., Natural History Museum and Biodiversity Research Center, University of Kansas. THE APPLICATION OF FORENSIC ENTOMOLOGY TO DINOSAUR TAPHONOMY. Forensic entomology is the study of necrophagous arthropods on carcasses to determine the amount of time lapsed since the death of the organism. A carcass with flesh clinging to the bones must be exposed for an extended period of time to attract insects. Most of these insects feed exclusively on soft tissues, while few modify bone. The larvae of dermestid beetles feed on desiccated carcasses and etch feeding traces and bore pupation chambers into the bone surface. The size, shape, and type of trace vary with temperature, light, food availability, moisture level inside the carcass, and amount of time the carcass is exposed after death. Two distinct types of insect traces are found on dinosaur bones from the Upper Jurassic Morrison Formation of northeastern Wyoming. The most common trace is from an unidentified insect. This trace is a narrow, looping groove etched into the bone surface. The second trace, interpreted as a dermestid beetle pupation chamber, is a shallow, spherical boring that varies in diameter and density between individual skeletons. The absence of insect traces on a skeleton suggests that the carcass was rapidly buried, submerged in water, or was exposed to a moist climate preventing desiccation. Skeletons with numerous, large dermestid borings likely had more available flesh and were exposed for prolonged periods of time in comparison to skeletons where the borings are small or absent. Beatty, B.L., Natural History Museum & Biodiversity Research Center, University of Kansas. AQUATIC VERTEBRATE DENTAL WEAR: CONSTRAINTS AND OPPORTUNITIES. Dental microwear has proved to be a fruitful avenue of research of terrestrial mammals, though nothing of this sort has yet been done among the aquatic vertebrates (except conodonts). Here I discuss the theoretical constraints and opportunities of this endeavor and present some of the preliminary results concerning these constraints now being examined in a variety of pinnipeds, sirenians, and desmostylians. Potential anatomical factors in wear are the functional consequences of dental materials, dental implantation (mechanics of gomphoses), cranial kinesis, material properties of mouthparts, material properties of food items, bite forces, and jaw motions (mastication, suction feeding, etc). Ecological parameters that can affect microwear signals include dietary preferences, the environmental details of the prey species (pelagic, carbonate versus siliclastic substrates, etc), and preservational environment bias. Ongoing current studies include differentiating the wear features associated with diet, substrate, jaw motions, and lingual movements in suction feeding. Light and scanning electron microscopy methods are presented with regard to their efficacy in these studies and the magnification level at which important features are found. Beckemeyer, R.J., Johnston Geology Museum, Emporia State University and J. D. Hall, Wichita State University. THE ENTOMOFAUNA OF THE LOWER PERMIAN WELLINGTON FORMATION OF KANSAS AND OKLAHOMA. The Lower Permian Wellington Formation insect fossil beds of mid-continent North America are known best for the famous Elmo, Kansas locality discovered by E.H. Sellards in the early 1900s. The Elmo site has produced tens of thousands of specimens from which more than 150 species of insects have been described. Equally productive and more widespread geographically, but less well-known, are the Midco, Oklahoma beds located some 270 km to the south of Elmo. The Midco beds, discovered by G.O. Raasch in the 1940s, have also yielded tens of thousands of specimens, but the material has been less well studied, and to date only half as many species have been identified from the Oklahoma localities. Although little research had been done on the sites or their entomological fauna since the last published work of F.M. Carpenter, renewed attention has been given to both the geology and palaeontology of the Wellington Formation in recent years by workers in the region. The history of the Wellington Formation Permian insect beds is briefly recounted and the insect faunal composition (just under 200 species) is briefly reviewed. Burnham, D. and A. Hemmy, Department of Geology, University of Kansas. FIRST REPORT ON UNGUALS IN THE HINDLIMB PADDLES OF THE POLYCOTYLID PLESIOSAURS. Although polycotylid plesiosaurs have been known for over a century, hindlimb paddles with unguals have yet to be described. Herein, we present a revised phalangeal formula and report the first known occurence of ungual phalanges for plesiosaurs. The new formula is based on further preparation of Trinacromerium bonneri from the Pierre Shale of Wyoming. The specimen consists of a post-cranial skeleton with forelimbs and well-preserved, nearly complete hindlimb paddles. The left hind paddle is the most complete with unguals on digits I, II, III, IV (? ), and V. The less complete right hindlimb paddle also has a higher phalangeal formula than previously described although the unguals are missing. The new phalangeal formula of the hindlimb paddles is ascertained to be on digits I-12, II-17, III-19, IV-16 (? ), V-15. The questionable count on digit IV is due to post mortem damage across the penultimate phalange. Davidson, J.P., Department of Art, University of Nevada, Reno. HENRY A. WARDS CATALOGUE OF FOSSIL CASTS AND THE INFLUENCE OF WATERHOUSE HAWKINS CRYSTAL PALACE MODELS. 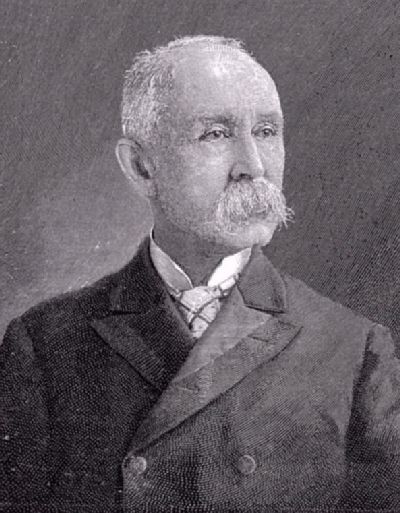 In 1866 Henry A. Ward of Rochester University began selling casts of fossils from Europe and American Museums. Wards Scientific Emporium, as his business was called, continued into the twentieth century. In this paper I pay special attention to the Ward casts of Waterhouse Hawkins Crystal Palace restorations and the relationships between the two men as artists, scientists and businessmen. Both were entrepreneurs engaged in presenting restorations to scientists and the public alike. The paper focuses on the Ward 1866 catalogue and the Hawkins models and compares these to several other Ward models of plesiosaur fossils from European museums. Everhart, M.J., Sternberg Museum of Natural History, Fort Hays State University. 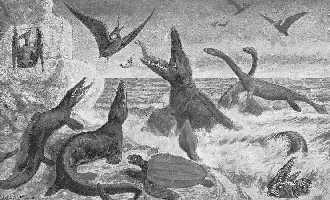 TYLOSAURUS PRORIGER AND THE MYTH OF THE RAM-NOSED MOSASAUR. The type specimen of Tylosaurus proriger (Cope 1869) was found near Monument Rocks in 1868. As an indication of the disagreements to come between E. D. Cope and O. C. Marsh, the genus name was changed from Macrosaurus to Rhinosaurus Marsh 1872 to Rhamphosaurus Cope 1872, and finally to Tylosaurus Marsh 1872. Roughly translated, the name means prow-bearing snout-lizard, an obvious reference to the characteristic extension of the premaxilla and dentarys beyond the front teeth. This feature is unique to Tylosaurus and is in contrast to the muzzle of most other mosasaur genera where the anterior-most teeth are even with or project beyond the ends of the upper and lower jaws. It was suggested by Cope and others that the bony snout was used as a ram to kill prey or as a weapon against other mosasaurs. More recent studies have shown that the cranial bones of many mosasaurs were loosely connected, similar to the highly flexible skull of a snake. In addition, the rostrum was extensively innervated and may have served a sensory function for locating prey in conditions of low visibility. The badly fractured rostrum of a T. proriger specimen from the Niobrara Chalk provides dramatic evidence of a collision with a solid object. The popular idea of Tylosaurus ramming prey or foes with its relatively fragile and sensitive snout appears to be unsupported by the fossil evidence. Fernandes, V., School for New Learning, DePaul University, and K. Shimada, Department of Biological Sciences and Environmental Science Program, DePaul University, and Sternberg Museum of Natural History. A TURONIAN (LATE CRETACEOUS) BIRD BONE FROM KANSAS. FHSM VP-2139 is a proximal end of the right carpometacarpus of the Late Cretaceous toothed seabird, Ichthyornis, housed in the Sternberg Museum of Natural History, Hays Kansas. The specimen was found from near the contact between the Carlile and Greenhorn Formations in southern Ellis County, Kansas. Although this specimen was previously referred to as "FHSM 11285" and "SMM 2139" in published literature, it has been neither described properly nor illustrated before. 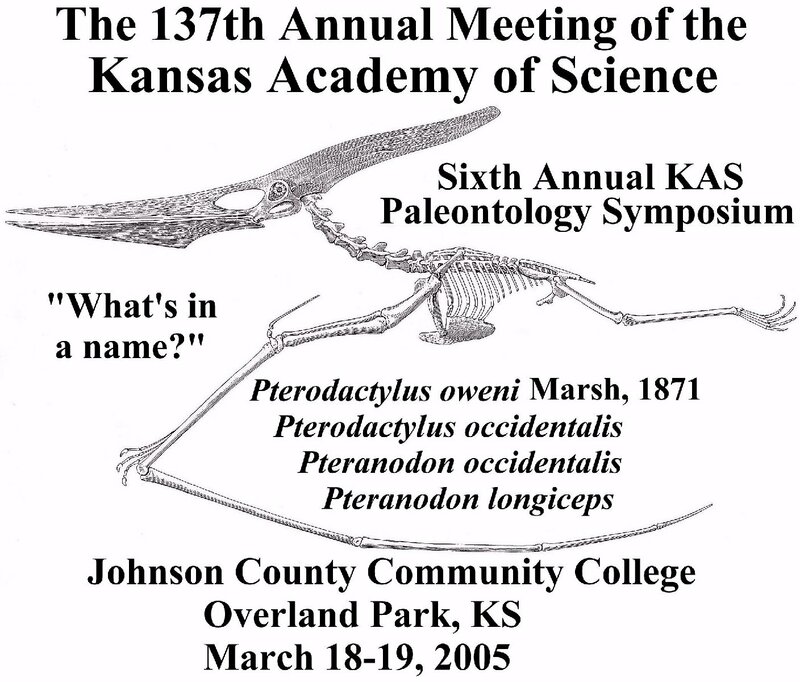 The specimen is significant in that it marks the oldest record of Ichthyornis in Kansas. The estimated total length and wingspan of the bird individual are 24 cm and 43 cm, respectively. Its occurrence in the offshore deposit strengthens the idea that the bird was able to fly for long distances. Hall, J.D., Wichita State University, Mazzullo, S.J., Wichita State University, Beckemeyer, R.J., Johnston Geology Museum, Emporia State University, and May, W.J., Sam Noble Museum of Natural History. DEPOSITIONAL FACIES AND DIAGENESIS OF THE CARLTON MEMBER (KANSAS) AND THE MIDCO MEMBER (OKLAHOMA) OF THE WELLINGTON FORMATION (SUMNER GROUP, LEONARDIAN). Outcrops of the Carlton Limestone (Kansas) and the Midco Member (Oklahoma) exposed on the surface in Kansas (Sumner and Dickinson Counties) and Oklahoma (Noble and Kay Counties) were studied to determine their depositional and diagenetic history. This study combines paleontological evidence with sedimentology, stratigraphy, and diagenesis to propose a depositional environment and diagenetic history. Syndepositional diagenetic features observed in the dolomites such as desiccation cracks, fenestrae, meniscus calcite cement, and displacive halite hopper crystals indicate deposition in a shallow periodically emergent hypersaline environment. Fossils found such as Myalinella meeki, Lingula, Paleolimulus, Permophorous, and red algae suggest deposition in a marginal-marine environment. Previously the dolomites of the Carlton and the Midco were considered to be lacustrine sediments deposited in coastal freshwater ponds (Carlton - see Dunbar, 1924) or saline playas (Midco - see Carpenter, 1947) following the retreat of a regressing sea. These interpretations were based primarily on the presence of fossil assemblages normally associated with fresh water and terrestrial environments. However, faunal evidence combined with sedimentology and stratigraphy suggests a marginal-marine environment for several dolomites within the Carlton and the Midco. Hogan, D.P., B.C. Thomas, and A.L. Melott, Department of Physics and Astronomy, University of Kansas. CLIMATIC AND BIOTIC EFFECTS OF A GAMMA RAY BURST NEAR EARTH. A gamma ray burst (GRB) within the Milky Way has been recently proposed as a novel mechanism for triggering a mass extinction on earth. Thomas et al have modified the two-dimensional Goddard Spaceflight Center Atmospheric Model to simulate the effects of a 100kJ/m2 GRB-induced influx of energy to Earth. The model's output, atmospheric composition as a function of time and latitude, was further analyzed to elicit possible effects on the biosphere. Using a biological weighting function for UV-induced DNA damage, it was found that in such a scenario peak DNA damage exceeded 16 times its normal global average value as a consequence of atmospheric disruption. Decreases in energy flux at the surface were also identified. Irwin, K.J., Herpetologist, Arkansas Game and Fish Commission. CRETACEOUS MARINE VERTEBRATES OF SOUTHWEST ARKANSAS: HISTORIC AND RECENT PERSPECTIVES. Upper Cretaceous marine vertebrates were first reported from Arkansas over 150 years ago when Joseph Leidy described the plesiosaur Brimosaurus grandis from Clark County. In the 1930s and early 1940s Charles Barber, of Hot Springs, conducted extensive collection efforts in the Campanian marine formations, producing the type specimens of several species of marine turtles. Recent fieldwork, initially focused on the Marlbrook Marl, has produced several important specimens. A diverse marine vertebrate assemblage has been recovered from the Marlbrook Marl on property owned by the Arkansas Game and Fish Commission. This assemblage includes elasmobranchs, teleost fish, marine turtles, mosasaurs, and plesiosaurs. Preliminary analysis reveals new geologic and geographic distribution records for selachians, Saurocephalus lanciformis (Ozan Formation), cf. Archelon ischyros, an as yet unidentified polycotylid plesiosaur, and Plioplatecarpus primaevus. Ongoing investigations should allow us to continue to refine our knowledge of Campanian marine vertebrate communities from the western margins of the Mississippi Embayment. Liggett, G.A., Department of Biological Sciences and Sternberg Museum of Natural History, Fort Hays State University. PRATT MAMMOTH SITE: USE OF GIS IN PALEONTOLOGY. The excavation of a mammoth at the Pratt County Airport in 1999 and 2000 provided an opportunity for the collection of detailed three-dimensional data at the site and subsequent data manipulation in Geographic Information Systems (GIS) software. The site was surveyed using professional-grade surveying equipment and an estimated within-site accuracy of at least 1 cm was achieved. Aspects of the site located in three-dimensional space included a wide variety of significant geologic and paleontologic information, including bone locations, geologic features such as bedding planes, surface topography, and the locations of mineralogical and pollen samples. Real-world coordinates (UTM) were established by utilizing coordinates obtained with a hand-held Global Positioning System (GPS) on select site monuments and making corrections in accordance with the survey data. Estimated error to real-world coordinates is at most plus or minus 7 meters. All the point data were imported into GIS software as a point cloud. Point data representing surfaces (e.g., ground surface and bedding contacts) were used to create surface representations, and bone location points were used to draft georeferenced geometric shapes. A database of attributes was created for the fossil shapes with fields for taxon, left/right, field number, bone description, appendicular/axial elements, and others. Using this technique and improvements developed since this excavation allows for the digital documentation of paleontological sites and subsequent rapid visualization of the site in numerous ways. Sundell, C. and H. Bartholomew, Midwest Paleontological Institute, Lawrence, KS. A MIDDLE PLEISTOCENE VERTEBRATE FOSSIL ASSEMBLAGE FROM JACKSON COUNTY, MISSOURI. In July of 2004, Larry D. Martin, Craig Sundell and Harry Bartholomew visited a lake construction site on Sni-A-Bar Farms property in Eastern Jackson Co., MO. Several large bones (Mammuthus) had been encountered in the construction process. The site was mapped and excavated by Sundell and Bartholomew for Sni-A-Bar Farms in conjunction with the University of Kansas and Dr. Martin. About 10% of a single adult mammoth was found in situ along with elements of Equus, a partial cervid antler and skull cap, ground sloth (Megalonyx) teeth, armadillo scutes and two rodent femora. The site is in situ below 15m of clay and lying atop reworked Pennsylvanian gravel. This is important since most Pleistocene fossils from the MO-KAN area are displaced and deposited along large rivers and lose taphonomic context. A single molar from the Mammuthus was recovered and is extremely primitive in form. It has only 4 dental plates per 10cm while recent (12,000ybp) mammoth teeth average 10-12 plates. The presence of this primitive molar along with the armadillo scutes suggests an interglacial burial older than 500,000bp. Further discovery of arvicolid microfossils is hoped for as well as paleomagnetic dating of the surrounding clay to support and narrow this initial age estimate. Sundell, C., G. Pearson and H. Bartholomew, Midwest Paleontological Institute, Lawrence, KS. 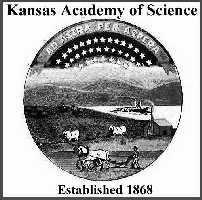 NEW DISCOVERY OF EARLY AND MID-PLEISTOCENE MICROFAUNAS FROM MITCHELL COUNTY, KANSAS. In June 2004, L. D. Martin, Gail Pearson, Craig Sundell and Harry Bartholomew located a new Pleistocene microvertebrate locality in Mitchell Co., KS. Since the initial discovery, more than 3,000 bones and teeth have been recovered using wet screening techniques from the original site (S-1) and a second site 100m to the north (C-1). These specimens are considered the types of the Pearson local fauna. The S-1 site has a very primitive arvicolid M1 with only 3 pairs of alternate triangular cusps. The C-1 site has a good lower jaw from an early species of Microtus. Tentative ages of 900,000bp for S-1 and 500,000bp for C-1 are posited based on recovered arvicolid teeth, jaws and partial skulls. The site is extremely rich in taxa diversity as well as quantity and quality of individual bones with six different members of the Rodentia, five Amphibia, four Serpentes, 5 Lacertilia, two Chelonia, six Osteichthyes, one Carnivora and one Insectivora represented to date. An extensive community of molluscs and gastropods has also been collected and needs investigation. These sites represent a new and important set of Pleistocene microfaunas older than most known from Kansas and unique in its north-central Kansas geographical location. This report is merely an alpha description. Continued recovery and identification of more taxa diversity, as well as new site discoveries, are expected with careful research in the future years. Thomas, B.C., Department of Physics and Astronomy, University of Kansas. DID A GAMMA-RAY BURST INITIATE THE LATE ORDOVICIAN MASS EXTINCTION? Gamma-ray bursts (GRB) produce a flux of radiation detectable across the observable Universe. A GRB within our own galaxy could do considerable damage to the Earth's biosphere; rate estimates suggest that a dangerously near GRB should occur on average one or more times per billion years. At least five times in the history of life, the Earth experienced mass extinctions that eliminated a large percentage of the biota. Many possible causes have been documented, and GRB may also have contributed. The late Ordovician mass extinction approximately 440 million years ago may at least partly be the result of a GRB. Due to severe depletion of the ozone layer, intense solar ultraviolet radiation is expected to result from a nearby GRB, and some of the patterns of extinction and survivorship at this time may be attributable to elevated levels of UV radiation reaching the Earth. In addition a GRB could trigger the global cooling which occurs at the end of the Ordovician period that follows an interval of relatively warm climate. The sudden glaciation had previously been identified as the probable cause of this mass extinction and we note that the intense rapid cooling that occurred at that time, which may have resulted from a GRB, also clearly played a very important role in driving the mass extinction. CREDITS: The figure at the top of the page was taken from: Webb, W. E. 1872. Buffalo Land - An authentic account of the discoveries, adventures, and mishaps of a scientific and sporting party in the Wild West. Hubbard Bros., Philadelphia, 503 pp. 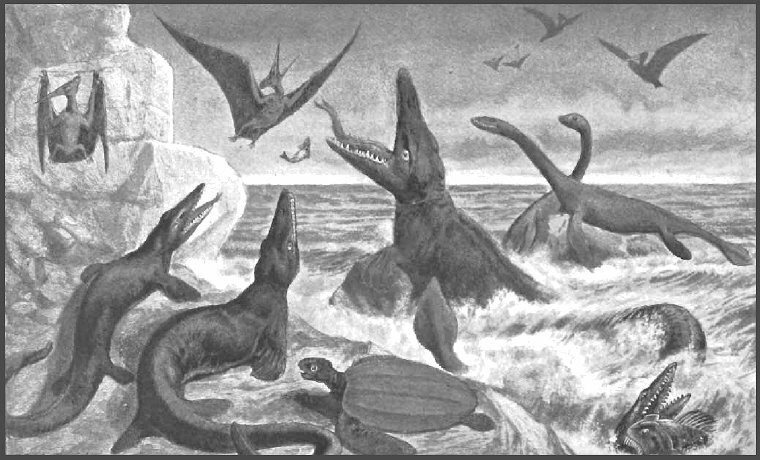 It illustrates many of the creatures first described and named by E. D. Cope and represents his vision of life in the Western Interior Sea during the Late Cretacecous.